Review Fix chats with Jeremy Strauser, General Manager of Topps Digital and Ian Hundiak, Senior App Producer for Topps Digital about the new Walking Dead: Card Trader digital app, breaking down its creation and why it belongs on your phone if you’re a real fan of the show. The Walking Dead: Card Trader digital app is now available for free on iPhone, iPad and iPod touch, as well as Android devices in the App Store and Google Play Store. Review Fix: How did this agreement come to be? Jeremy Strauser: Frankly it started because I was a big fan of the show and there were other fans on our digital team at Topps. After Star Wars: Card Trader launched and was received well, we brainstormed other potential properties that would work well on our platform. As we looked into The Walking Dead as a property, the ratings and following were amazing. Then we happened to get lucky, as Ira Friedman, our VP of licensing and one of Topps’ longest serving employees had a good relationship with the licensing agents for the show and we had an impromptu meeting at our booth at Comic Con. We explained digital cards and what we would like to do and the deal was done shortly after. We are super excited to be working with AMC on this great property. Review Fix: What do you think makes this card series special? 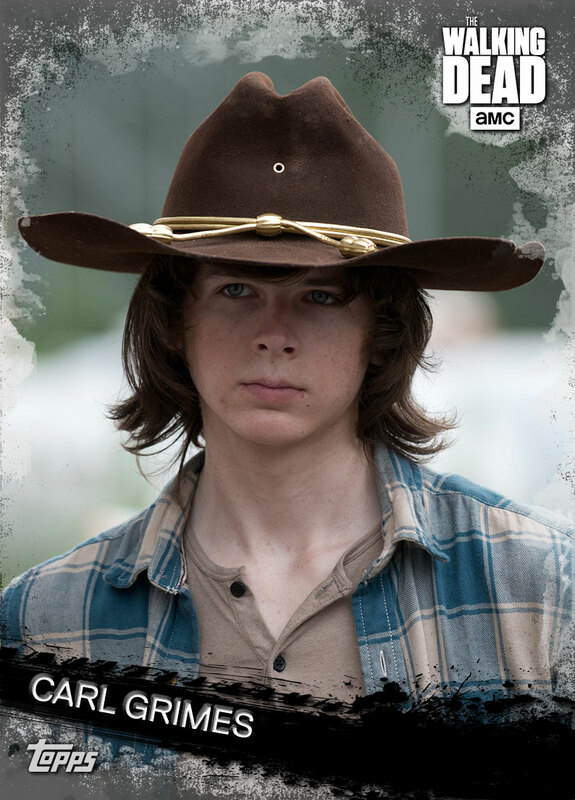 Ian Hundiak: This is the first ever officially licensed set of digital Walking Dead trading cards. They are also the most up to date TWD trading cards as the previous physical set only covered up through Season 4. Strauser: Would add that the fan base for The Walking Dead is extremely digitally connected, so the product makes great sense for them, and additionally these are the first cards for Fear The Walking Dead anywhere. Review Fix: How are the digital cards unique? Strauser: Digital cards to me are the modern evolution of the classic trading card. I can now carry my entire collection in my pocket (on my phone) and always have a chance at collecting something unique and new. The platform lets us put things out very quickly and respond to fan feedback, which we are looking forward to doing with The Walking Dead. Review Fix: What’s the difference between the digital and print cards? Hundiak: Digital cards have several features exclusive to the medium, such as the option to trade globally 24/7, and to combine cards in exchange for other cards. Hundiak: Fear The Walking Dead cards are coming VERY soon. Strauser: New content every day, including special rare insert cards that will push the boundaries of card design and pay honor to this great TV show.